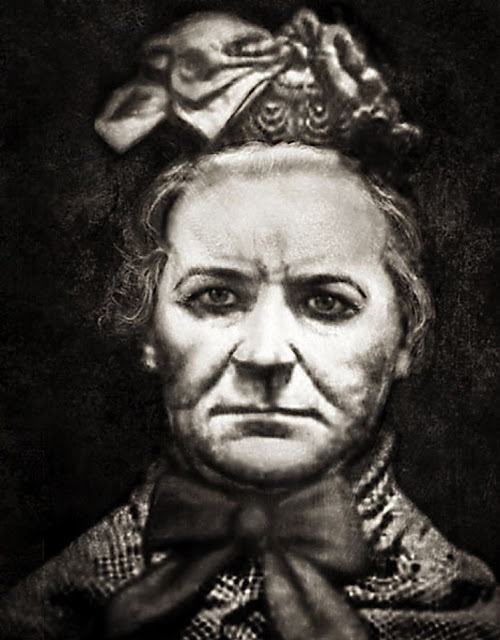 Amelia Elizabeth Dyer was one of the most prolific serial-killers in history, murdering infants in her care over a 20 year period in Victorian Britain. Amelia Elizabeth Dyer (née Hobley) was born in 1837 (her exact birthdate is unknown), the youngest of five (with three brothers, Thomas, James and William, and a sister, Ann) in the small village of Pyle Marsh, just east of Bristol, the daughter of a master shoemaker, Samuel Hobley, and Sarah Hobley née Weymouth. She learned to read and write and developed a love of literature and poetry. However, her childhood was marred by the mental illness of her mother, caused by typhus. Amelia witnessed her mother's violent fits and was obliged to care for her until she died, raving, in 1848. Researchers would later comment on the effect this had on Dyer, and also what it would teach Dyer about the signs exhibited by those who appear to lose their mind through illness. Dyer had an elder sister, Sarah Ann who died in 1841, aged 6 and a younger sister also named Sarah Ann who died in 1845, aged a few months. An elder cousin had an illegitimate daughter at the time who was later accepted as the daughter of the grandparents, Dyer's aunt and uncle William and Martha Hobley. Around the time she was visiting family in the Brislington/Whitchurch area of Somerset, one of whom may have been an uncle who married a niece (also named Sarah Ann) in 1853 and had five children - The Vicar never recorded his full name on the registers at his home parish of Publow. After her mother's death Amelia lived with an aunt in Bristol for a while, before serving an apprenticeship with a corset maker. Her father died in 1859. Her eldest brother, Thomas, inherited the family shoe business. In 1861, at the age of 24, Amelia became permanently estranged from at least one of her brothers, James, and moved into lodgings in Trinity Street, Bristol There she married George Thomas. George was 59 and they both lied about their ages on the marriage certificate to reduce the age gap. George deducted 11 years from his age and Amelia added 6 years to her age —many sources later reported this age as fact, causing much confusion. After marrying George Thomas, Dyer trained as a nurse. From contact with a midwife, Ellen Dane, she learned of an easier way to earn a living — using her own home to provide lodgings for young women who had conceived illegitimately and then farming off the babies for adoption or allowing them to die of neglect and malnutrition (Ellen Dane was forced to decamp to the US, shortly after meeting Amelia, to escape the attention of the authorities). 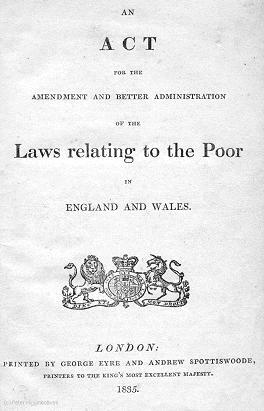 Unmarried mothers in Victorian Britain often struggled to gain an income, since the 1834 Poor Law Amendment Act had removed any financial obligation from the fathers of illegitimate children, whilst bringing up their children in a society where single parenthood and illegitimacy were stigmatised. This led to the practice of baby farming in which individuals acted as adoption or fostering agents, in return for regular payments or a single, up-front fee from the babies’ mothers. Many businesses were set up to take in these young women and care for them until they gave birth. The mothers subsequently left their unwanted babies to be looked after as "nurse children". The predicament of the parents involved was often exploited for financial gain: if a baby had well-off parents who were simply anxious to keep the birth secret, the single fee might be as much as £80. £50 might be negotiated if the father of the child wanted to hush up his involvement. However, it was more common for these expectant young women to be impoverished. Such women would be charged about £5. Unscrupulous carers resorted to starving the farmed-out babies, to save money and even to hasten death. Noisy or demanding babies could be sedated with easily available alcohol and/or opiates. Godfrey's Cordial — known colloquially as 'Mother's Friend', (a syrup containing opium) — was a frequent choice, but there were several other similar preparations. Many children died as a result of such dubious practices: "Opium killed far more infants through starvation than directly through overdose". 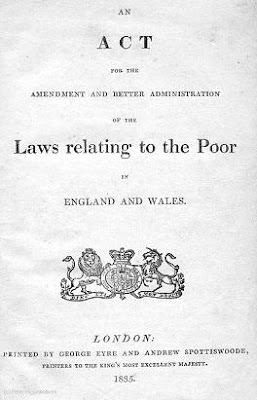 Dr. Greenhow, investigating for the Privy Council, noted how children "kept in a state of continued narcotism will be thereby disinclined for food, and be but imperfectly nourished". Death from severe malnutrition would result, but the coroner was likely to record the death as "'debility from birth,' or 'lack of breast milk,' or simply starvation". Mothers who chose to reclaim or simply check on the welfare of their children could often encounter difficulties, but some would simply be too frightened or ashamed to tell the police about any suspected wrongdoing. Even the authorities often had problems tracing any children that were reported missing. This was the world opened up to her by the now-departed Ellen Dane. Amelia had to leave nursing with the birth of a daughter, Ellen Thomas. In 1869 the elderly George Thomas died and Amelia needed an income. 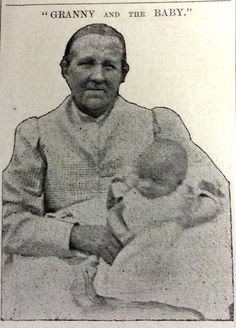 Amelia was apparently keen to make money from baby farming, and alongside taking in expectant women, she would advertise to nurse and adopt a baby, in return for a substantial one-off payment and adequate clothing for the child. In her advertisements and meetings with clients, she assured them that she was respectable and married, and that she would provide a safe and loving home for the child. Amelia married William Dyer, a brewer's labourer from Bristol, in 1872. They had two children together: Mary Ann, also known as Polly, and William Samuel. Amelia eventually left her husband. At some point in her baby farming career, Amelia was prepared to forgo the expense and inconvenience of letting the children die through neglect and starvation; soon after the receipt of each child, she murdered them, thus allowing her to pocket most or all of the fee. For some time, Dyer eluded the resulting interest of police. She was eventually caught in 1879 after a doctor was suspicious about the number of child deaths he had been called to certify in Dyer's care. However, instead of being convicted of murder or manslaughter, she was sentenced to six months' hard labour for neglect. The experience allegedly almost destroyed her mentally, though others have expressed incredulity at the leniency of the sentence when compared to those handed out for lesser crimes at that time. Upon release, she attempted to resume her nursing career. She had spells in mental hospitals due to her alleged mental instability and suicidal tendencies; these always coincided with times when it was convenient for her to "disappear". 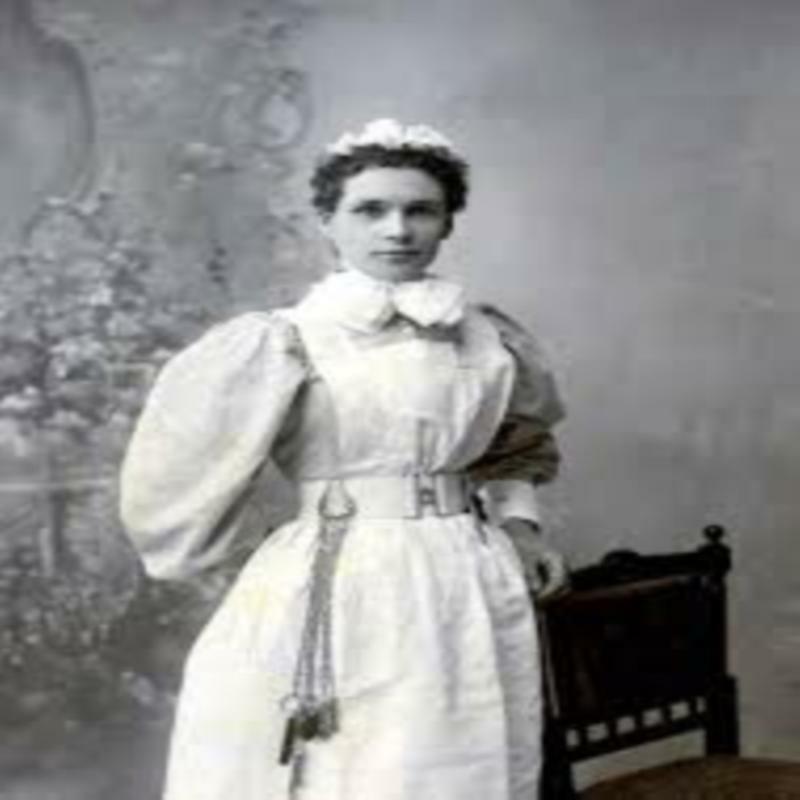 Being a former asylum nurse Amelia knew how to behave to ensure a relatively comfortable existence as an asylum inmate. Dyer appears to have begun abusing alcohol and opium-based products early in her killing career; her mental instability could have been related to her substance abuse. In 1890, Dyer cared for the illegitimate baby of a governess. When she returned to visit the child, the governess was immediately suspicious and stripped the baby to see if a birthmark was present on one of its hips. It wasn't, and prolonged suspicions by the authorities led to Dyer having, or feigning, a breakdown. Dyer at one point drank two bottles of laudanum in a serious suicide attempt, but her long-term abuse had built up her tolerance to opium products, so she survived. Inevitably, she returned to baby farming, and murder. Dyer realized the folly of involving doctors to issue death certificates and began disposing of the bodies herself. The precarious nature and extent of her activities again prompted undesirable attention; she was alert to the attentions of police — and of parents seeking to reclaim their children. She and her family frequently relocated to different towns and cities to escape suspicion, regain anonymity — and to acquire new business. Over the years, Dyer used a succession of aliases. In 1893, Dyer was discharged from her final committal at Wells mental asylum. Unlike previous 'breakdowns' this had been a most disagreeable experience and she never entered another asylum. 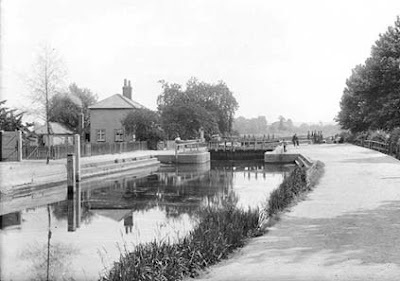 Two years later, Dyer moved to Caversham, Berkshire, accompanied by an unsuspecting associate, Jane "Granny" Smith, whom Amelia had recruited from a brief spell in a workhouse and Amelia's daughter and son-in-law, Mary Ann (known as Polly) and Arthur Palmer. This was followed by a move to 45 Kensington Road, Reading, Berkshire later the same year. Smith was persuaded by Amelia to be referred to as 'mother' in front of innocent women handing over their children. This was an effort to present a caring mother-daughter image. In January 1896, Evelina Marmon, a popular 25-year-old barmaid, gave birth to an illegitimate daughter, Doris, in a boarding house in Cheltenham. She quickly sought offers of adoption, and placed an advertisement in the 'Miscellaneous' section of the Bristol Times & Mirror newspaper. It simply read: "Wanted, respectable woman to take young child." Marmon intended to go back to work and hoped to eventually reclaim her child. Coincidentally, next to her own, was an advertisement reading: "Married couple with no family would adopt healthy child, nice country home. Terms, £10". Marmon responded, to a 'Mrs. Harding', and a few days later she received a reply from Dyer. From Oxford Road in Reading, 'Mrs Harding' wrote that "I should be glad to have a dear little baby girl, one I could bring up and call my own". She continued: "We are plain, homely people, in fairly good circumstances. I don't want a child for money's sake, but for company and home comfort ... Myself and my husband are dearly fond of children. I have no child of my own. A child with me will have a good home and a mother's love". Evelina Marmon wanted to pay a more affordable, weekly fee for the care of her daughter, but 'Mrs Harding' insisted on being given the one-off payment in advance. Marmon was in desperate straits, so she reluctantly agreed to pay the £10, and a week later 'Mrs Harding' arrived in Cheltenham. Marmon was apparently surprised by Dyer's advanced age and stocky appearance, but Dyer seemed affectionate towards Doris. Evelina handed over her daughter, a cardboard box of clothes and the £10. Still distressed at having to give up care for her daughter, Evelina accompanied Dyer to Cheltenham station, and then on to Gloucester. She returned to her lodgings "a broken woman". A few days later, she received a letter from "Mrs Harding" saying all was well; Marmon wrote back, but received no reply. Dyer did not travel to Reading, as she had told Marmon. She went instead to 76 Mayo Road, Willesden, London where her 23-year-old daughter Polly was staying. There, Dyer quickly found some white edging tape used in dressmaking, wound it twice around the baby's neck and tied a knot. Death would not have been immediate. Both women allegedly helped to wrap the body in a napkin. They kept some of the clothes Marmon had packed; the rest was destined for the pawnbroker. Dyer paid the rent to the unwitting landlady, and gave her a pair of child's boots as a present for her little girl. The following day, Wednesday 1 April 1896, another child, named Harry Simmons, was taken to Mayo Road. However, with no spare white edging tape available, the length around Doris' corpse was removed and used to strangle the 13-month-old boy. On 2 April, both bodies were stacked into a carpet bag, along with bricks for added weight. Dyer then headed for Reading. At a secluded spot she knew well near a weir at Caversham Lock, she forced the carpet bag through railings into the River Thames. Unknown to Dyer, on 30 March 1896, a package was retrieved from the Thames at Reading by a bargeman. The package Amelia dumped was not weighted adequately, and had been easily spotted. 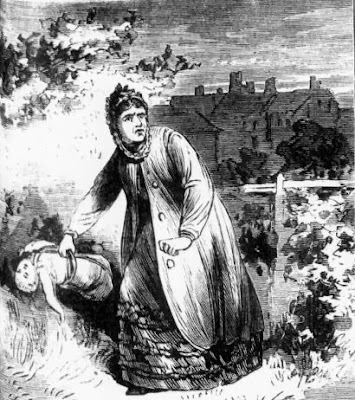 It contained the body of a baby girl, later identified as Helena Fry. In the small detective force available to Reading Borough Police, Detective Constable Anderson made a crucial breakthrough. As well as finding a label from Temple Meads station, Bristol, he used microscopic analysis of the wrapping paper, and deciphered a faintly legible name — Mrs Thomas — and an address. This evidence was enough to lead police to Dyer, but they still had no strong evidence to connect her directly with a serious crime. Additional evidence they gleaned from witnesses, and information obtained from Bristol police, only served to increase their concerns, and D.C. Anderson, with Sgt. James, placed Dyer's home under surveillance. Subsequent intelligence suggested that Dyer would abscond if she became at all suspicious. The officers decided to use a young woman as a decoy, hoping she would be able to secure a meeting with Dyer to discuss her services. This may have been designed to help the detectives to positively link Dyer to her business activities, or it may have simply given them a reliable opportunity to arrest her. It transpired that Dyer was expecting her new client (the decoy) to call, but instead she found detectives waiting on her doorstep. On 3 April (Good Friday), police raided her home. They were apparently struck by the stench of human decomposition, although no human remains were found. There was, however, plenty of other related evidence, including white edging tape, telegrams regarding adoption arrangements, pawn tickets for children's clothing, receipts for advertisements and letters from mothers inquiring about the well-being of their children. The police calculated that in the previous few months alone, at least twenty children had been placed in the care of a 'Mrs. Thomas', now revealed to be Amelia Dyer. It also appeared that she was about to move home again, this time to Somerset. This rate of murder has led to some estimates that Mrs Dyer may, over the course of decades, have killed over 400 babies and children, making her one of the most prolific murderers ever, as well as the most prolific female murderer ever. 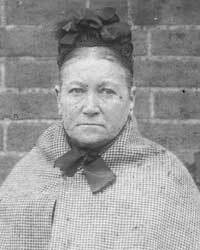 Amelia Dyer was arrested on 4 April and charged with murder. Her son-in-law Arthur Palmer was charged as an accessory. During April, the Thames was dredged and six more bodies were discovered, including Doris Marmon and Harry Simmons — Dyer's last victims. Each baby had been strangled with white tape, which as she later told the police "was how you could tell it was one of mine". Eleven days after handing her daughter to Dyer, Evelina Marmon, whose name had emerged in items kept by Dyer, identified her daughter's remains. Sir will you kindly grant me the favour of presenting this to the magistrates on Saturday the 18th instant I have made this statement out, for I may not have the opportunity then I must relieve my mind I do know and I feel my days are numbered on this earth but I do feel it is an awful thing drawing innocent people into trouble I do know I shal have to answer before my Maker in Heaven for the awful crimes I have committed but as God Almighty is my judge in Heaven a on Hearth neither my daughter Mary Ann Palmer nor her husband Alfred Ernest Palmer I do most solemnly declare neither of them had anything at all to do with it, they never knew I contemplated doing such a wicked thing until it was too late I am speaking the truth and nothing but the truth as I hope to be forgiven, I myself and I alone must stand before my Maker in Heaven to give an answer for it all witness my hand Amelia Dyer. On 22 May 1896, Amelia Dyer appeared at the Old Bailey and pleaded guilty to one murder, that of Doris Marmon. Her family and associates testified at her trial that they had been growing suspicious and uneasy about her activities, and it emerged that Dyer had narrowly escaped discovery on several occasions. Evidence from a man who had seen and spoken to Dyer when she had disposed of the two bodies at Caversham Lock also proved significant. Her daughter had given graphic evidence that ensured Amelia Dyer's conviction. The only defense Dyer offered was insanity: she had been twice committed to asylums in Bristol. However, the prosecution argued successfully that her exhibitions of mental instability had been a ploy to avoid suspicion; both committals were said to have coincided with times when Dyer was concerned her crimes might have been exposed. It took the jury only four and a half minutes to find her guilty. In her 3 weeks in the condemned cell, she filled five exercise books with her "last true and only confession". Visited the night before her execution by the chaplain and asked if she had anything to confess, she offered him her exercise books, saying, "isn't this enough?" Curiously she was subpoenaed to appear as a witness in Polly's trial for murder, set for a week after her own execution date. Subsequently, adoption laws were made stricter, giving local authorities the power to police baby farms in the hope of stamping out abuse. Despite this and the scrutinising of newspaper personal ads, the trafficking and abuse of infants did not stop. Two years after Dyer's execution, railway workers inspecting carriages at Newton Abbot, Devon found a parcel. Inside was a three-week-old girl, but though cold and wet, she was alive. The daughter of a widow, Jane Hill, the baby had been given to a Mrs. Stewart, for £12. She had picked up the baby at Plymouth — and apparently dumped her on the next train. It has been claimed that 'Mrs. Stewart' was Polly, the daughter of Amelia Dyer. Because she was a murderer alive at the time of the Jack the Ripper killings, some have suggested that Amelia Dyer was Jack the Ripper, who killed the prostitutes through botched abortions. This suggestion was put forward by author William Stewart, although he preferred Mary Pearcey as his chosen suspect. There is, however, no evidence to connect Dyer to the Jack the Ripper murders.